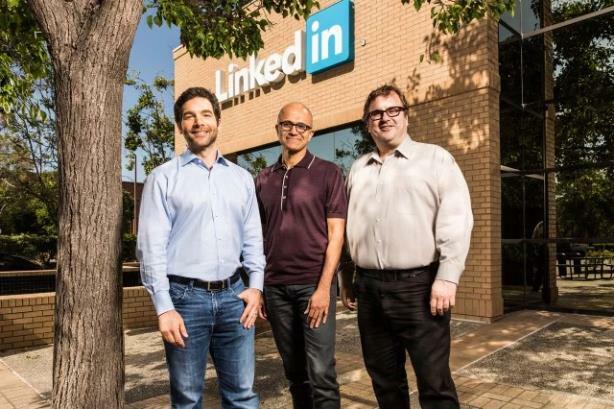 The LinkedIn chief executive worked to put users' and employees' minds at ease on Monday morning about its impending acquisition by Microsoft. LinkedIn CEO Jeff Weiner emphasized in missives to the public and employees on Monday that his company’s acquisition by Microsoft will allow it to maintain its independence and move out of the shadow of tech-sector heavyweights. In a post to LinkedIn’s blog, Weiner emphasized that the deal will allow LinkedIn to operate as a standalone unit. "The LinkedIn you know and value is only getting better," he said in the blog post. "LinkedIn will retain its distinct brand, culture, and independence. We’ve been changing the way the world’s professionals have connected to opportunity for 13 years, and this is an opportunity for us to truly change the way the world works on a massive scale." In a separate, 1,750-word letter to employees, Weiner addressed doubts that LinkedIn will be able to operate independently and staffers’ job concerns. "Long story short, [Microsoft CEO Satya Nadella] had me at ‘independence.’ In other words, his vision was to operate LinkedIn as a fully independent entity within Microsoft, a model used with great success by companies like YouTube, Instagram, and WhatsApp," he said. Weiner also attempted to assuage staffers’ fears about their own positions. "Given our ability to operate independently, little is expected to change: You’ll have the same title, the same manager, and the same role you currently have," he said, noting that staffers whose jobs focus on LinkedIn’s status as a public company will be an exception. "We have the same mission and vision; we have the same culture and values; and I’m still the CEO of LinkedIn." The two companies announced the $26.2 billion deal on Monday morning. LinkedIn shares were up 47% in the following hours, while Microsoft’s stock dipped 3.2%, according to CNBC. Weiner will continue to serve as CEO of LinkedIn, reporting to Nadella. The Microsoft CEO was set to hold a call with investors at 11:45 a.m. PST. Nadella and Weiner also appeared in a video posted in Microsoft’s media center.